Friday July 27, 2018: Brooke warns Ridge, Wyatt can't believe what he hears at Bill's place, and Liam asks for forgiveness. In Brooke’s bedroom, she comes upon Ridge chastising Hope angrily for making out with Liam and warns him not to talk to her daughter that way. Ridge retorts after what she did, he’ll talk to her however he likes. Brooke explains Hope wasn’t being malicious, and wants him to realize she is Liam’s future…Steffy will be with Bill. Ridge is suitably appalled, and heads out to ensure that doesn’t happen. After, Brooke encourages Hope to put her own needs first. She believes the moment Liam kissed Hope he made a decision – their little family is coming together. At the cliff house, Liam asks Steffy to explain wearing his father’s necklace. Steffy complains Liam accused her many times of running to his father and it was never true, but after finding him with Hope – she went right to him. Liam tells Steffy she’s hurt him, if that’s what she wanted, and asks her to take off the necklace – she needs to forgive him. Steffy recalls how she begged Liam and humiliated herself, yet he walked away, straight to Hope. She’ll always care, but can’t trust him – he doesn’t know what he wants. She owes it to her daughter to be stronger than her mother was with her father. Liam’s freaked out as Steffy vows to protect her daughter even if she must give up on love. He wants to talk about this, but Steffy informs him he made his choice. He balks as Steffy encourages him to go get his dream life with Hope. Liam wants her to stop behaving as though this is his choice. Steffy snaps, “But it is.” Bill appears, and agrees with her. Liam appeals to Steffy – he only wants the same forgiveness he offered her. Steffy can’t forgive his indecision. Bill chuckles when Liam reminds her they have a daughter – he showed no concern for Kelly when he was making out with Hope. He informs Liam that his daughter will now have a stable home; they’ll all look out for her together, but Liam will answer to Steffy and him. 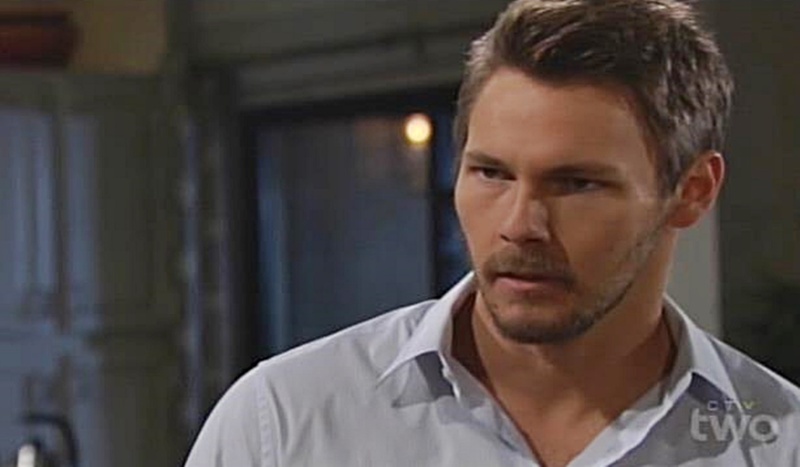 Liam roars, “How dare you,” as Bill goes on that Steffy will never have to question if she comes first with him…ever. Liam tells Steffy she doesn’t have to do this. Steffy stands beside Bill, who then intones that Liam knew this was coming, it’s the way it was always meant to be. Ridge has his heart broken by Steffy’s news.